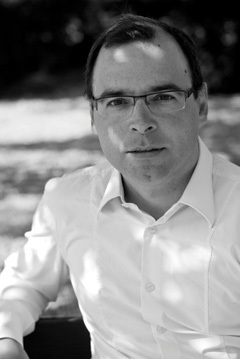 Koen Willems started his career in 1998 as project manager in the Consulting & Services division at Lernout&Hauspie. He then joined Toshiba as Product Marketing Manager for the Benelux and later for the European market. Currently Strategic Marketing Director for Government, Defence and IP Trunking at Newtec, a market leader in satellite communication technologies, Mr. Willems has been in charge of market launches for a number of professional IP modems and technologies in the last four years. He holds an English & Scandinavian Languages degree (University Ghent, Belgium, 1997) and a Marketing Management Masters (Vlekho Business School, Brussels, 1998. Mr. Willems also acquired a Six Sigma Black Belt for product development and process improvement in 2006. Q: What is the general role for airborne ISR in today’s military context? A: Airborne Intelligence, Surveillance and Reconnaissance (ISR) is becoming the most important method for gathering information in military missions around the world. Operations need more intelligence to ensure accuracy and to ensure successful and correct decision-making. For one thing missions are becoming shorter and more focussed with less of a role for ground forces. The recent Libya, Syria and Iraq missions are a prime example of this. With little or no ground force intelligence available to verify airborne ISR observations and often a great need for precision information, there is an ever-increasing reliance on the accuracy and detail of ISR data gathered by both manned and unmanned airborne platforms. Q: What are the general trends you see in the (airborne) ISR market? A: There are growing bitrates, more airborne ISR missions and a greater number of increasingly sophisticated and bandwidth hungry data collection apparatus being used. During austerity times for governments around the world, airborne ISR activities continue to be seen as high value and of high importance. Whilst more and more ISR missions are being dispatched to collect and process information, they need to be achieved using the same levels of expensive satellite bandwidth once available for far fewer missions. There is a real squeeze leading to a trend for DoDs to use authorized Commercial Off The Shelf (COTS) technologies to maximise on bits per hertz. Different sensor technologies (HD, multispectral, Infrared etc.) are sapping capacity on the satellite transponder. Some of the sensor data can be stored on the plane for after the mission, but for real-time decision making live throughput of this data over satellite is required. Once these ISR products are collected, analysed and processed they become priceless tools for better decision making. Whilst contending with this increased demand for throughput, service continuation is essential and mission critical. During missions in-flight ISR aircraft regularly encounter fading conditions that disturb the transmission of video and data over satellite. Fading conditions can be caused by many different circumstances: the choice of satellite (inclined orbit, rain fade in Ku-, Ka- and X-band), interference (between two adjacent satellites) or shadowing of the antenna (wing, tail, mountain, tracking loss). If the satellite link were to go down, or the bandwidth were to drop, leading to the cessation of an important feed it would be unacceptable with potentially dire consequences. Q: What are the challenges encountered when flying ISR missions? A: The network configuration is quite atypical. There is the need for a higher volume of data to be transferred from the airborne vehicle back to control than vice versa. This is directly opposite to what one would expect from the set-up of a typical TDMA VSAT network. In fact there is no room any longer for traditional VSAT systems. The VSAT platform deployed for ISR airborne missions needs to be multi-service, multi-purpose and able to handle high data throughputs. Newtec has 30 years’ experience in video, high speed satellite data links and building multi-service VSAT networks that operate at optimal conditions under these adaptive and high data rate circumstances. Of course, with these ISR missions being of great sensitivity, and with it not always being possible to plan far in advance, quick and reliable implementation is a must. Everything from testing to programme rollout has to be completed quickly. This has to be balanced against the need to know that each piece of equipment is fit for purpose and reliable. All COTS products must therefore meet stringent certification criteria. We have products and solutions qualified for use in the US, Canada, with governments in Europe and around the world. Q: What are the functional requirements to enable successful ISR missions? A: Bandwidth, bandwidth and more consistent bandwidth. Through past implementations Newtec has seen requirements of tenfold of Mbps data, video and voice feed to the ground and back up to the ISR airborne vehicle at all times. We can expect the required bandwidth to balloon in the coming years though and we are ready for that. Successful ISR missions also rely on the operation of multiservice VSAT networks, meaning multiple aircraft communicating on the network simultaneously. Next to the airborne platforms other ISR entities can be active (ground sensors, ISR agencies, HUMINT, SIGINT, ELINT, IMINT inputs etc.) in order to exchange and multicast the latest up-to-date intelligence. Also of utmost importance is an end-user interface that is easy to use. During an ISR operation, when split second decisions are being made, the operation of the interface must not be a constraint and has to be seamless. Even for personnel that do not have engineering degrees! Q: What technologies can be implemented to enable higher throughput and maximum service availability? A: Optimizing the data and video link between the ISR aircraft and the ground station is a continuous process that needs to take changing conditions into consideration at all times. Mission critical data needs to be transmitted even when fade has caused a reduction in bandwidth from its optimal level. Newtec combines its video and high-speed multiservice VSAT know-how with the latest innovative technologies and DVB standards. Newtec Cross-Layer-Optimization™ and FlexACM take care of the optimization of throughput and providing maximum service availability. As such ISR video and data rates can be doubled in the same bandwidth without the need to acquire extra satellite capacity. It ensures more efficient Beyond-Line-of-Sight (BLoS) communications. At the same time optimal service availability can be achieved in any fading condition to keep mission critical communications running at all times. These Newtec technologies are paired with the latest DVB standard, which was launched in March 2014, called DVB-S2X. Newtec already has this new standard running on its equipment delivering capabilities up to 256 APSK, 72 Mbaud and more than 400 mbps throughput. As such the modem is ready if any improvements in antenna, amplifier and high throughput satellite technology are achieved. In an addition to this DVB standard a couple of very low signal-to-noise MODCODS are defined that take care of increased availability for applications-on-the-move (BPSK & spread spectrum). The kind of high data throughput required for ISR tasks are not optimized on a Time Division Multiple Access (TDMA) basis as is typical in a VSAT network. With the Newtec Dialog Multiservice VSAT platform, high-speed SCPC links coming from multiple planes can be connected to a single hub. After collection, analysis and processing of the ISR products the Newtec Multicast technology can be used on the same Dialog platform to send the latest information to different agencies or entities in theatre. Q: What are the results when translating these technologies to real world practice and actual airborne ISR programs/missions? A: Multiple Airborne ISR systems are currently operational, supporting multiple ISR aircrafts in diverse hotspots around the world. Data rates from the airborne platform to the hub were maintained in excess of 20 Mbps, providing room for HD video signals and other sensor data.